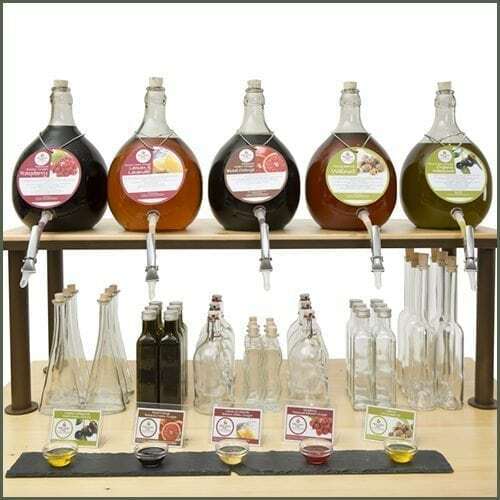 A visually stunning OnTap retail display system offering naturally flavoured extra virgin olive oils, fruit vinegars and balsamic vinegars in colourful glass amphoras and stainless steel dispensers. The presentation provides an impressive WOW factor, creating a real talking point in any store. We guarantee your customers will love it! Modular in design, and totally customisable to suit any business size or budget, it can be an attractive addition to all delicatessens, farm shops, food halls, zero-waste shops, quality butchers or farmer’s market stalls. Customers are treated to a mouth-watering choice of flavoured oils and vinegars, and can enjoy the unique interactive shopping experience where they can try everything before they buy and even choose their own bottle to take it home in! They can then return to the shop later for a refill giving the OnTap retailer an excellent way to compete on the high street and build strong customer loyalty as well as provide a complementary cross-selling boost to their other delicatessen sales. 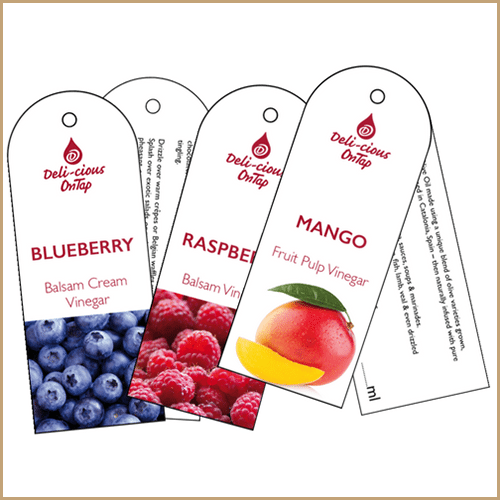 Deli-cious Oils & Vinegars believes in putting flavour first. We only use 100% natural flavourings and ingredients in our products and all are Vegan or Vegetarian-friendly. This means using real fruit juices and fruit pulps for our vinegars, and only pure, natural essential oils for the flavouring of our infused olive oils. Fine quality white wine vinegar or premium distilled spirit vinegar is used as a base for our vinegar range, and a high quality, single variety Spanish Arbequiña extra virgin olive oil is used in the production of our infused olive oils. Customers can sample all our Oils & Vinegars. Everything is available to taste, so your customers can try before they buy. 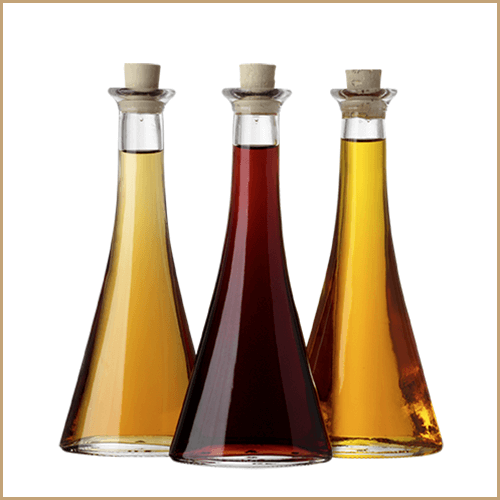 Customers can choose their favourite Oil or Vinegar, and then select a refillable bottle from the range. You then fill their selected bottle with the Oil or Vinegar of their choice, or they can take one away that you have pre-filled for them. Attach a tag to the bottle to indicate which Oil or Vinegar they have chosen, and seal their bottle with a cork or cap. Customers can refill their bottles when they are empty with the same product, or try a new one. If they forget their bottle, they can select a new one. With over a decade of experience and knowledge as a specialist OnTap supplier and retailer of Oils & Vinegars, you can benefit from our real expertise in how to succeed with OnTap selling. We offer the largest range of high quality Oils & Vinegars in the UK, and a wide choice of glass Bottles and Amphorae for all your OnTap needs. 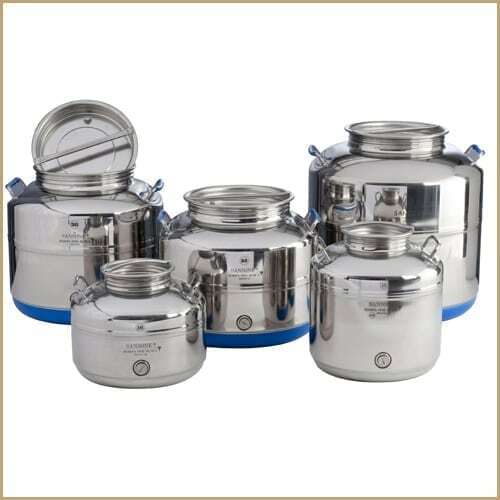 Our products offer excellent achievable profit margins, with plenty of regular return sales. Our OnTap system can be adapted to suit almost any size retail space or budget. Start small and grow, or start big to create a full display with maximum impact. OnTap merchandising and marketing support are provided, and full sales training and advice is always available from both Deli-cious and our wholesaler partner, Anthony Rowcliffe. What our OnTap retailers have to say..
We have been selling Deli-cious Oils & Vinegars since 2012. Since trying them at a local show, I was so impressed, I thought if I like them my customers will too. I was right, we started with 8 different kinds and now we have 30! I will also say that Deli-cious are always helpful whenever we see them at the shows, and I always return back to my shop with lots of new ideas. We have been selling Deli-cious OnTap for the last 8 years. Once a customer tastes, they always purchase. The range is great, and the margins are much higher than traditional deli items. Many customers bring their bottles back for a refill. If you are a farm shop or fine food business you are missing a trick not having this in your store! Our customers have many different, delicious flavours to choose from and we have a high level of returning customers refilling their bottles.The Oils and Vinegars are an exceptional quality, once our customers try these, they are hooked! We’ve been working with Deli-cious and stocking their oils and vinegars for the past ten years. They sell incredibly well for us and are so visual. The Oils & Vinegars are not only an important part of our sales mix, but add to the look and feel of both our Deli’s. The quality and flavour profiles are both outstanding, which makes it really easy for us to enthuse our staff to introduce them to our customers, and also to include them in the dishes we prepare for the café and food bar. 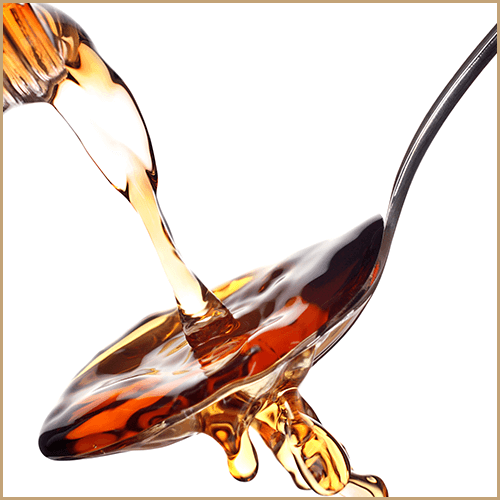 We’ve been stocking the Delicious on tap oils and vinegars for well over 7 years. We permanently have them available to sample and as everyone loves the way they taste it’s led to them becoming one of our best selling product ranges. We encourage customers to bring back their bottles and get refills which also leads to repeat purchases and of course once a loyal customer is in the deli they are also likely to do other shopping. 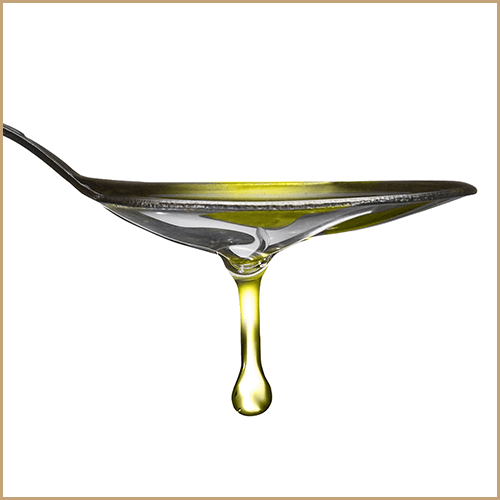 We often use the oils and vinegars in our own salads and as dressings, which also supports retail sales as we often get asked what we have used and where can they buy it. The staff all have their own favourites and offer suggestions on how the oils and vinegars can be used, which builds trust in the product range and also in our business. We have a core range that we keep in stock all the time and then we bring in guest oil or vinegar every so often to keep things fresh and to give regulars a new product to try. Delicious on tap oils and vinegars are definitely one of my must have deli product ranges. Are you interested in becoming an OnTap Stockist?